Recent trends are driving savvy companies to improve how they manage their supplier and buying processes using dynamic discounting. 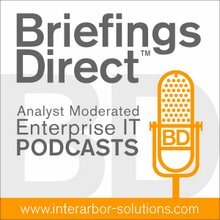 The latest BriefingsDirect discussion focuses then on how discount management and dynamic discounting can dramatically improve how enterprises procure by better managing the buying process, improving cash management, and gaining an analytic edge on constantly improving processes through cloud-enabled automation. Gardner: In a long-term slack economy, finding new business efficiencies is not really an option. Hofler: We've seen a lot of growth in this area, particularly over the last three or four years with another wave of economic bad news coming up now. In 2008, when the credit crisis first hit and supply chains became dramatically impacted, you had a lot of suppliers who found their access to credit severely curtailed. You had a lot of buyers who were using the opportunity to enhance their cash flow and their cash position by extending terms with suppliers. So you had kind of a perfect storm of buying organizations pushing out payment terms and supplying organizations not able to fund those longer terms via traditional credit means, because those were being pulled away. So that created a real cash flow crisis within supply chains. ... If you look at that in conjunction with suppliers still having their access to credit curtailed, it's not as bad as it was at the height of 2008, but it still is far from where it was pre-2008 in terms of their access to credit. You have this situation where there is significant liquidity risk in the supply chain due to suppliers who are not in as good a cash position -- smaller and medium sized suppliers typically -- facing a downturn in orders, facing a downturn in the economy, and not having necessarily the cash buffer or access to credit to weather that. On the other hand, you have buyers who have massive amounts of cash that are sitting in banks, where they are earning next to nothing. In fact, two days after the S&P downgrade, Ben Bernanke and the Fed stated that they'll probably keep rates down at around zero for the next two years, until mid-2013. ... People are looking for everything to make their companies leaner and better and capture all the value that they possibly can. Dynamic discounting is really a win-win. There is value to both sides [of purchasing relationships], and it's not just one imposing their will on the other in order to make their company better at the expense of the other. There are significant and tangible benefits to both sides when they do this. Some of them will average around 24 percent annualized return on their cash. Others will average less. It depends on how they want to approach their supply base. I think that's why we've seen so many companies pick this up. We've had growth rates of 60 percent or so in our buyer customer base. Our customers, shortly after going live, have been seeing growth rates in their opportunity and discount capture with their suppliers of 60-80 percent month over month. Obviously that will stabilize at some point, but I think what that says is that huge growth curve, particularly in the first year or so of doing it, speaks to the fact that there is this latent opportunity out there. We have customers and some of them will average around 24 percent annualized return on their cash. Others will average less. It depends on how they want to approach their supply base. Many buyers will take the opportunity, when there's an opportunity to earn very significant returns on their cash of 36 percent or more from a certain part of their supply base. Typically, the longer tail, the smaller suppliers, will take advantage of that. But others, especially more recently, are realizing that they can take a nuanced approach to this and look at their entire supply chain and approach each segment differently. So if you are a long tail of suppliers that otherwise would take P-Card or do things like that, you can get a large amount of return on your cash. But on the other end of your supply chain, your goal as a buying organization with more strategic suppliers is not so much to wring all the value in terms of return on cash that you can out of them, but to make sure that they are there for you when you need them, to reduce the liquidity risk. So a lot of buyers are taking the cash that they have, using this product, and offering the opportunity to their more strategic suppliers to gain access to the cash piles that the buying organization has, but at rates that are much lower, that are closer to what they might be able to get out in the marketplace from a bank. Those are more around 6 percent, 4 percent annualized, but still much better than the buying organization gets on their cash sitting in a money market account earning less than a quarter of a percent, or close to zero right now. But they do it in such a way that does not add a burden to their supplier. I'm seeing buying organizations take a blended, more nuanced approach to using this. The great thing about the tools online is that they have full flexibility to do that, to group their suppliers how they wish, to offer different rates to different suppliers, to control the amount of cash that they make available, and they are really starting to take advantage of that. When you talk about dynamic discounting, what we like to say is that it enables collaborative cash flow, and that collaboration is really what the cloud, social networking, business social networking, is really all about. It's about communicating, communicating need, and collaborating over solutions. What I see coming down the line is that, as more and more network or cloud effect takes place, where suppliers who are on the Ariba Network, for example, have multiple buyers participating in this and so they are doing this across different buyers, it becomes more of a norm. It becomes something that is a normal part of business. I think we're starting to see that normalized, because dynamic discounting is a very fairly young industry still in terms of overall business practices and processes. But we're starting to see it become more of a norm. When you have that happening over the cloud, when you have that kind of collaboration of information going back and forth, you have more suppliers becoming normal, we'll see buyers learning and having access to aggregated data, trends, and behaviors that show them how to approach this, because they can see how it has worked across industries in the past, and then supplying organizations finding it much more normal. I see it tying into the communication methods that are becoming so prevalent in social media and in the cloud, just basically to give suppliers access to the opportunity and open up the opportunity. We've seen such growth when buyers become active and make this available to suppliers, simply because it's tapping into the late need that suppliers didn’t know they had a fix for, that they had a solution for, in terms of accessing this cash. As that becomes more available and more known through the cloud, through the collaboration, the suppliers hear about it more, they realize they have the access. Just that ability for it to go viral is what's really going to happen more and more, as we go into the future and it kind of snowballs. In the meantime, you have this big dichotomy, where you have buyers who have lots of cash earning basically nothing on it in the short-term, and their suppliers who don't have the access to that cash and have longer terms extended to them. When they do get credit, there are some pretty restrictive covenants with their banks and they're paying a little bit higher rate than they would otherwise. You have this significant liquidity risk. All of that is to say that what we're seeing is that buying organizations are starting to realize that they can take advantage of the fact that they have all this cash and suppliers who have this need to essentially become the bank and put that cash to work. Organizations are starting to realize that they can take advantage of the fact that they have all this cash and suppliers who have this need to essentially become the bank and put that cash to work. They earn a greater return by paying suppliers early in exchange for a discount -- so they're earning a better return on their cash than it would have sitting in the bank -- but they also remove some risk from their supply chain by injecting liquidity into their supply chain, giving suppliers access to liquidity that they might not have otherwise in a way that, one, is not debt to their supplier, and two, improves their working capital position by lowering their days sales outstanding (DSO), when they get paid early on that receivable. We are seeing all these things line up to create a perfect opportunity for both buyers and suppliers to collaborate over these cash flow needs that are being created by the economy right now. Gardner: I suppose the solution then at the high level is fairly clear, but how to implement that becomes the issue. So many organizations have disparate ways of managing these issues, managing their procurement and supply chain, often manual processes still at work. How do you allow for the suppliers to create an incentive for this improved discounting and improved cash flow for them, and how do they then manage and instantiate this and make it repeatable? Hofler: It’s a great point, because a lot of organizations in this realm of payment terms, agreements with suppliers, paying suppliers, approving invoices, and all of this type of thing, is still a very manual process in so many organizations. I have looked at buying organization and analyzed their vendor files and at times found literally hundreds of different payment terms to their suppliers, where a best practice would be to have maybe five to 10 that are pretty standardized, unless there happens to be some great exception. People are just making terms with the folks that they know, buyers knowing the salesperson on the supplier side, and agreeing to specific terms that may have nothing to do with the corporate objectives or strategy. In order to reap this opportunity and understand what's happening a company needs to get visibility into what's actually happening. That’s where Ariba’s cloud technology allows companies to pull this through the Ariba Network and gain visibility into what's going on and automate the process greatly. Once they have that visibility, on the one hand, they realize they can get their terms and their payment under control. A lot of times, a company will have what's supposed to be a standard term, let’s say 45 days, 60 days payment, but a supplier is being paid immediately. Somebody called in to the company and the supplier said, "I can't wait this long for my cash. Can you pay me early?" And the person on other end of the phone changed the payment to "immediate" in the ERP for the buyer. That’s a cash flow waste right there. You're paying immediately when a buying organization could be holding up their money for 45-60 days, or exchanging that immediate pay for some value in the form of a discount. We're seeing that companies are getting control of that process through automating it, through sending POs through the Ariba Network to their suppliers, where it's centralized and visible to corporate as a whole, bringing invoices back in to accelerate the approval process, and also bringing it under some control and visibility as well. That opens up the opportunity that we're talking about in terms of collaborating over cash flow, because what you have are these invoices coming in and being approved in a rapid manner, because they're coming in clean. The Ariba Network assures that invoices come in clean and they're being approved quickly. Now you have invoices that are approved say on the fifth day after receipt, but not due until day 60 after the invoice date. That time gap is where the collaboration can come in. These invoices are coming in and being approved in a rapid manner, because they're coming in clean. When it is in the cloud online, the buying organization has visibility to all of their suppliers, being able to offer early payment and being able to use their cash to earn greater returns and offering early payments. But all the suppliers then have visibility into that opportunity as well. And the right party at the supplier company that has visibility into that. When you think about early payment, discount terms, we think of the classic 2/10, net 30 that’s negotiated into a contract at some point. Think of who is having that conversation? It's typically procurement and the salesperson on the side of the supplier. That salesperson on the side of the supplier really is not all that concerned about cash flow. That’s not their metric. It's not what they're measured against, and they don’t really care. We find that not too many companies get early payment discounts into a large amount of their spend due to that. But when those invoices have come in and have been made visible through this online portal for suppliers to see, who is it at the supplier that now is looking at that? It's the accounts receivable (AR) side. It's the controller. It's the treasurer. It's finance on the side of the supplier that cares about cash flow, that realizes when they need enhanced cash flow, and has the ability to make a decision over that. We're seeing a huge increase when we deploy clients between what they had originally captured in contracts in terms of early payment terms, versus what they're now able to capture, once they put this in place with the Ariba Network, where the right audience and their suppliers can come in and see that. So those things -- automating the process, getting visibility into it, getting your process under control so that everything is done in a timely manner to create the opportunity, and then having an online portal visibility for your supply base to see the opportunity -- are key to accessing it. Gardner: So I think that at a very high level we're talking about better business process management (BPM), but across disparate systems of record, different organizations, and the role that Ariba plays, has the opportunity to cross among or between them, but automate, give them insight and visibility at the same time. So that’s pretty cool. Now, I know the name of your product that you apply to a lot of this is called Ariba Discount Professional, but I have also heard it referred to as "dynamic discounting." What does that really mean? How does that work? Hofler: The market term for us is Ariba Discount Pro, but the broader vernacular for the market is dynamic discounting or discount management. Dynamic discounting has two aspects to it. One, it's the dynamic nature of it, giving the supplier the ability and control to say when they want to get paid early, when they need the money, to have this sort of automated online conversation or collaboration with the buyer to agree on early payment terms, on an invoice-by-invoice basis. The supplier can say they don’t need early payment all the time, but there are definitely business cycles, financial cycles in the quarter, or business cycles and seasonal suppliers, where they may have to purchase a lot of stock for an upcoming season, or they might want to purchase some equipment. Then, they need to accelerate some cash flow in order to do that. The supplier can dynamically say, "Here's what's available to me, and I'll take that invoice, that invoice, and that invoice on an early payment. I agree to those terms." And boom, it's done. So it's basically like an ATM for them. They can choose which ones they want. The other aspect of dynamic discounting is the fact that it allows for a fair and prorated discount rate to the supplier from the buyer. The other aspect of dynamic discounting is the fact that it allows for a fair and prorated discount rate to the supplier from the buyer. Before, in the traditional 2/10, net 30 and 2/15, net 45 that a lot of companies have, the structure is such that if you can approve the invoice and pay by day 15, you take 50 percent discount. If you can't approve it by day 15, then you wait and you pay the full amount of the invoice on day 45. With dynamic discounting and our Discount Pro product, buyers are able to offer to their suppliers a prorated discount that says, "We can pay you early from the moment this is received or from day 15," whatever fits the buyer’s needs, and then prorate that say 2 percent discount down to 0 percent on the net due date of that invoice. It's fair to the supplier. If they are getting paid 30 days early, they pay a higher discount. If they are getting paid 15 days early, that discount gets lowered in such a way that is fair to that supplier, and yields a constant and consistent return on cash on an annualized basis to the buying organization. So for example, the 2/10, net 30, that’s the classic textbook example is a 36.5 percent annualized rate of return. So at 20 days early on day 10, it's a 2 percent discount; at 10 days early, 20 days after the invoice is received, it's a 1 percent discount. Both of those equate to 36.5 percent annualized return on cash for the time period that the cash was deployed. The buying organization is ensured a consistent return on their cash deployed. The supplier is ensured a fair system control discount based on when they actually receive the cash. So those two pieces, that slope line and proration, as well as the dynamic ability for a supplier to achieve early payment on an invoice-by-invoice basis based on their business need are the things that really define dynamic discounting. Gardner: I have to imagine that we're talking about very large organizations, very large procurement sums, and therefore the returns can be quite substantial. It makes sense of course for the buying organization to be able to do the best they can with their cash flow, and getting a discount would do more for them than letting it sit in a low interest-bearing account, as you pointed out. But what really intrigues me about this, Drew, is for the suppliers, where there is complexity in inventory and there is transportation and logistics issues, it gives them a chance to really analyze some of the timing that works to their advantage and then incentivize based on these discounts as to how that could then benefit them. There seems to be a huge efficiency, maybe difficult to measure in dollar terms, but a huge efficiency potential for these suppliers when they exercise this dynamic discount. Hofler: I would agree with that. There is just a whole ton of benefits to the suppliers, because as you say, they have full visibility into when they are going to be paid, how much, and on what, and full control over that. As I mentioned before, it's like an ATM for them, if they need it, where they have access to this pool of liquidity, depending on the things that come along. If anything like logistics, transportation, or added gas prices spike for a week or two and their cash flow has to increase, well, because of that outlay, they can access this early payment and this cash in a way that's very beneficial for them, because suppliers have some access to some cash flow. It's not completely shut off for them. A lot of suppliers will take credit cards or P-Cards. A lot of them will access lines of credit and things to that effect. It's often cheaper than they can find financing elsewhere, and it does so in such a way that lowers their DSO, because they're basically turning their assets of a receivable into cash. But those do two things to them. One, P-Cards are extraordinarily expensive in terms of the exchange rate that they have to pay. And two, lines of credit and that type of thing add debt to their balance sheet basically. With this type of dynamic discounting, suppliers access this cash flow in a way, depending on what the buyer offer might be or what the buyer might accept in terms of the counteroffer from the supplier, that is typically cheaper than than credit cards. It's often cheaper than they can find financing elsewhere, and it does so in such a way that lowers their DSO, because they're basically turning their assets of a receivable into cash. It lowers their DSO, which is great for their working capital metrics and cash convergence cycle. And it does so in such a way that adds zero debt to their balance sheet, because it's just transferring one asset into another from a receivable into cash. So definitely a lot of supplier benefit. Discount Pro is based on the Ariba Network platform. From the buying side, it simply requires the ability to send a message from your ERP -- we call it a payment proposal message -- to the Ariba Network. It requires a connection, and there are a number of ways to do that. We have standard adapters for most of the large ERPs -- PeopleSoft, Oracle, SAP. We've integrated with JD Edwards, Lawson, and various others. Simply installing this kind of middleware adapter takes the feed of data from the ERP, translates it into the Ariba cXML. You put that in place. It's basically that middleware to communicate that information back and forth from the Ariba Network, and that's essentially it. There obviously is some work involved in that, but it's so much lower than on-premise type of work that you would have to do. There's much lower cost, and much quicker time -to-benefit for that. From the supplier’s side, being based in the cloud and on the Ariba Network, it literally can be as simple as a three minute process of signing up on the Ariba Network. Gardner: Do you have some examples of folks that are doing this? What sort of returns it's getting for them? How it's impacting them in terms of productivity benefit as well as pure dollars and cents? Hofler: We've had a number of organizations, a large retail and sporting goods organization, that came in and increased their discount capture by about 90 percent. One thing is coming onto the Ariba Network and getting your process under control. As I said before, companies don't necessarily have a lot of their spend under contract discount term, but they do have some. Their procurement folks have negotiated some discounts, early payment discounts, in the contract. A lot of that is not being captured, because the process doesn’t allow them to approve the invoices in time, and that type of thing. That was the case with this organization. It was capturing about 35 percent of their discounts, and raised that to about 95 percent very quickly. So that's an immediate savings and immediate capture of lost opportunity and value to them. Simply by getting their process under control allowed them to capture millions of dollars of lost savings. In addition, they saw their capture of savings go from about 5 percent of their suppliers to a penetration of over 20 percent of their suppliers in a short period of time as well. I believe it’s because of the things that I mentioned earlier. It was now putting the opportunity in front of the right people at the supplier’s side. When they realized they had the opportunity, they took advantage of it, because as I said, the fundamentals are there in the market, where suppliers are typically hurting for cash and cash flow and opportunities for that, willing to take early payment. Buyers have lots of cash. When you just bring those two parties together in a way that makes it easy for them to collaborate and meet that need, your participation is going to go up for sure. And that's what we've seen.